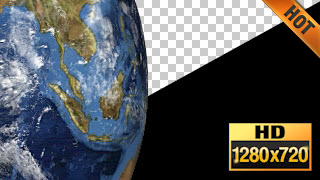 Highly detailed chroma key of spinning Earth. Looking at the full globe from outer space. Transparent chroma key background. Because this video is transparent you can place it as a layer on top of your other video layers in for example Camtasia, Premiere Pro or other video editing software. Please note that due to the highly detailed video the file size is approximately 470 MB. See also Spinning Earth Full Globe HD Video for a non-transparent version of this video that is smaller. Once a member, just login and download.